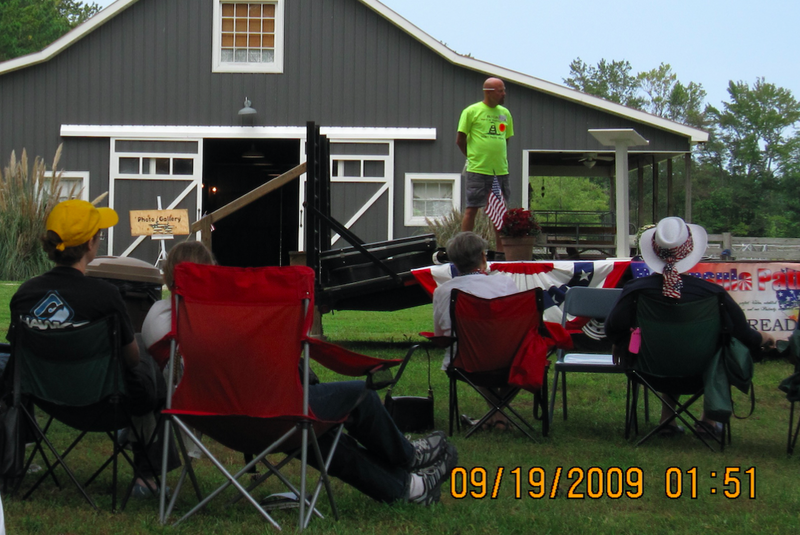 Middle Peninsula Tea Party Reunion, Picnic & Rally! Greetings Tea Partiers, Republicans, and Patriots! It's time to get back together! Our last MPTP meeting occurred just as the Presidential campaign kicked into high gear in 2016 and we got busy with campaigns & election activities. Then, silly us, we thought we could rest awhile! We owned all three chambers of the federal government! How sweet can it be??? Little did we know Hillary's defeat would incite the left to fight like cornered rats! Then we witnessed people we thought were on our side align with the swamp! Now the swamp is engaged in a battle against the Trump presidency and the people who put him in office. Here on the Middle Peninsula the 'resistance' is mobilizing to unite liberal forces eager to usher in their socialist agenda, resist and even impeach our President and further thwart our victory. We can't just let that happen! Let's rekindle that fire we felt in our hearts and bellies! Once again Virginia has an over-abundance of conservatives running for an office! Corey Stewart, E. W. Jackson, and the new face, Delegate Nick Freitas are all in the GOP race to become the candidate to unseat Senator Tim Kaine. Tim Kaine is flush with money but so was Eric Cantor when Patriots who loved liberty more than big government won a decisive victory! Taking back a Senate seat in Virginia will take a small miracle but we must do all we can to make it happen! Liberty is worth preserving! Looking forward to seeing you all as well as your neighbor or friend! Please pass this invitation/message to your like-minded friends who may have been accidentally overlooked! * Daddy always said, "Nothing is FREE! Who's paying for it?" So, the answer is It's being paid from funds left from that last MPTP 'Pay What You Think It's Worth' Christmas Dinner! Thanks to Obamacare, we can give 400,000 more Virginians affordable health care. Call the State Senate now. 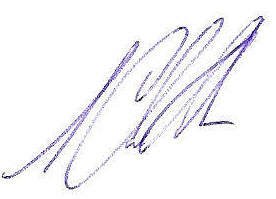 SIGNATURE NEEDED to protect SNAP!! SNAP is under attack in the new Farm Bill!! Sign our letter to Congress NOW telling them to protect SNAP, our families, and our economy! SNAP (also known as food stamps) is under attack!! Last week GOP leadership in the U.S. House of Representatives Agriculture Committee introduced a Farm Bill that would increase hunger and hardship by taking away—or cutting—food assistance from many struggling families, including children. This week they are starting debate on the bill. We have no time to lose! We need YOU to speak out now against this unnecessary and highly harmful proposal. ***SIGN OUR LETTER NOW! Tell the U.S. Congress to protect SNAP and protect our families and economy. Rather than helping anyone keep a job or find a job, this proposal is designed to create massive red tape that will make it harder for millions of people to put food on the table, including parents raising kids, low-wage workers, and people temporarily between jobs. This red tape is designed to produce massive cuts in SNAP funding in order to pay for the giant tax cuts for billionaires and big corporations that were passed in December. But there is still time to stop this harmful proposal! The U.S. House Agriculture Committee is debating this bill later this week and will be voting on it soon. **SIGN our letter now telling Congress "Hands off SNAP!" and we'll deliver it to members of the Committee on Wednesday! The entire premise of these new restrictions— that somehow people who use SNAP are lazy — is dead wrong. Fact: Most adults on SNAP work. More than half of SNAP households with at least one working-age, non-disabled adult work while receiving SNAP — and more than 80 percent work in the year before or after receiving SNAP. Among those who are not working, most report illness or disability, caregiving responsibilities, being recently divorced or escaping an abusive relationship, or going to school as a reason for not working. In other words, these proposed cuts are a direct attack on women, who do the lion's share of caregiving for children, elderly and family members with disabilities. This of course all comes on the heels of the $1.9 trillion tax bill passed a few months ago, which gives historic tax cuts to millionaires, billionaires, and mega-corporations, but leaves working families in the dust. There is a direct line between these tax cuts and what Congress is proposing to cut now around SNAP—in order to pay for the tax cuts for the 1% and Wall Street, GOP lawmakers need to find ways to make trillions of dollars in cuts. The health and well-being of our families should not be sacrificed in order to give tax cuts away to President Trump's cronies. What should we do instead? Instead of taking away grocery money for struggling families to pay for new risky schemes, Congress should focus on policies that actually help create jobs, boost wages, and protect families. We need our elected leaders to pass policies that lift up our families, not strike them down and punish them when they are at their most vulnerable. **Sign our letter NOW to protect the nutrition our families and economy need in order to thrive. These new requirements will hurt working families already struggling to balance work and family and make ends meet—and also hurt our economy. Economic analysis shows that there is a high return on investment, in fact, for SNAP because people immediately spend those funds on food in ways that also immediately fuel our economy. Further, requiring documentation of every hour of employment to obtain vital health care, nutrition, and housing assistance creates more red tape headaches for people, especially those who are self-employed, have seasonal jobs, or who are caring from family members and making ends meet through short term informal jobs like babysitting. ***Sign our letter now telling the U.S. Congress to keep their hands off SNAP, which boosts our families and our economy! Once you take action, make sure to forward this email to your friends and family and post our action page to Facebook. This bill is moving quickly through Congress so we need to have as many people as possible speaking out against these harmful policies. Help us have our voice echo through the Halls of Congress! Thank you for continuing to speak out and protect our families' health and nutrition! P.S. Are you currently or have you ever used SNAP? How would an employment requirement affect you and your family? MomsRising wants to hear from you…your experiences with these programs matter! Share your story with us here. P.P.S. We will be discussing this topic in more detail on Friday, April 20th with nutrition experts during our regular #FoodFri tweetchat from 1-2pmET/10am-11am PT. Join us on Twitter by following #FoodFri! Brakkton Booker and Dan Charles. "Republican Farm Bill Calls on Many SNAP Recipients to Work or Go To School." NPR, April 12, 2018. House Agriculture Committee. "Agriculture and Nutrition Act 2018." Center on Budget and Policy Priorities. "SNAP Helps Millions of Children." April 26, 2017. Center on Budget and Policy Priorities. 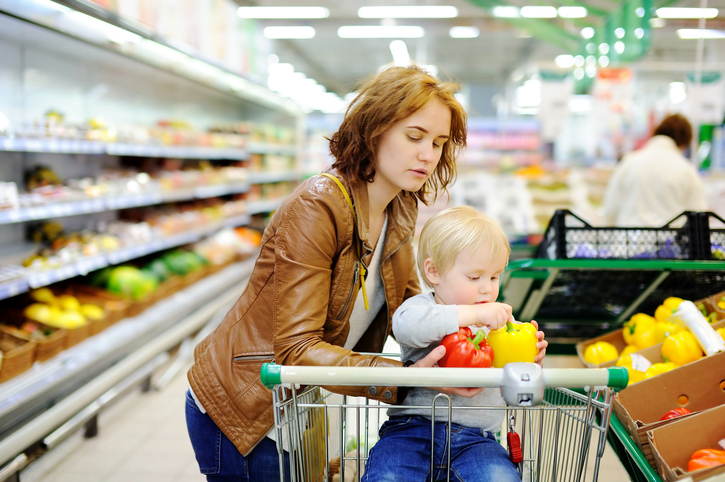 "SNAP Helps Struggling Families Put Food on the Table." March 1, 2017. Niv Ellis. "GOP tax law will add $1.9 trillion to Debt: CBO." The Hill, April 9, 2018. Margot Sanger-Katz. "Hate Paperwork? Medicaid Recipients Will Be Drowning in It." New York Times, January 18, 2018. What should MomsRising tackle next? Tell us! Bowing to the demands of the liberals, the leadership in the General Assembly is working overtime to expand Obamacare in Virginia. But you can stop them. That's right- after conservatives have stood strong for eight years against the Obamacare Medicaid Expansion, the new Speaker of the House of Delegates, Kirk Cox, has sold out. So let us call it what it is- Cox-care. Not only that, but now Cox has support in the State Senate with both State Senators Wagner and Hanger publicly stating they are supporting the expansion of Obamacare, and its associated Medicaid Expansion, here in the Commonwealth. We need your help today, I cannot say it any other way. We simply cannot afford to lose one single vote in the State Senate, or be prepared to see both your taxes and insurance rates skyrocket. And then call Speaker Kirk Cox -(804) 698-1066- and tell him he must not permit a vote on the Medicaid expansion in Virginia, or you will hold him accountable in the next primary election. This may be the first email you have received from the Loudoun Constitutional Conservatives. LCC is a no compromise, grassroots group dedicated to the Constitution, individual liberty and true conservative principles. And I cannot tell you how disappointed I am with the lack of a spine shown in the General Assembly. I cannot even wrap my head around the lack of principle and the spreading surrender complex seen in Richmond today. Just watching neighboring West Virginia residents suffer under the Medicaid Expansion, as their schools are de-funded, their roads neglected and the cost of health care increasing over 32%. We cannot allow that to happen here in the Commonwealth. And we will not back down. We are currently staffing up and running thousands of of phone calls into key districts to stop the Medicaid Expansion. But we desperately need your help. Which is why I am sending you this email today. Then you need to contact your state delegate and tell them they also must oppose the Cox-Northam- Obama Medicaid Expansion. You can find your state delegate at this link. 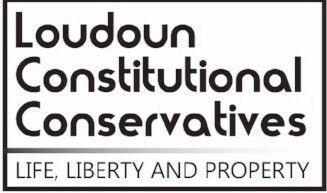 Meanwhile, we here at the Loudoun Constitutional Conservatives will be working hard to reach as many voters as possible this week, to urge them to contact their elected officials to oppose this far left socialist program. 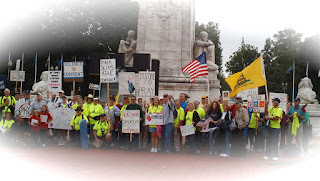 But we are an all volunteer group, a true grassroots organization. And unlike the national level, left wing groups that support this horrible legislation, we depend solely on the donations of patriots like yourself. But we work smart, for just less than $50, we can reach 1,000 voters in key districts, having them contact their representatives to tell them to vote against Cox- Northam- Obamacare. Your contribution of $250, $100 ,$50 or whatever you can afford will help tell these guys to back off Obamacare- to keep their promises to the voters of Virginia. Remember, if they won't see the light, we need to make them feel the heat. But we cannot do so without your help. The votes we need to stop this legislation are in conservative districts, all we need to do is reach the voters. So please help LCC keep Obamacare out of Virginia today! So please call Senators Wagner and Hanger today, and then donate whatever you can to help us stop the sellouts. For in the end, why bother electing Republicans when they vote like Democrats? PS-No one will ever convince us that bad Republican laws are better than bad Democratic laws. We do not play team sports and do not give a pass to any politician who violates the Constitution or true conservative principles just because of the letter behind their name. LCC is an all volunteer grassroots group, and it is due to the donations of good conservatives like yourself that we are able to continue to work to stop the expansion of Obamacare in Virginia. So please donate $100, $50 or whatever you can afford at this link. Copyright © 2018 Acton Advocacy Group, All rights reserved. Fighting for true conservative issues in Virginia. How Ignorant We Are .... Great article ... Compounding our ignorance is the fact that much of what we think we know is not true. 56 % said Hollywood's anti-gun rants make them want either to "somewhat" support or "strongly support" the Second Amendment. "Dear Grandchild," words that are the "Secret to Life." saying he doesn't "recognise the country [he] grew up in anymore. A court so liberal that 80 percent of its decisions are reversed when appealed to the Supreme Court. 65% of Democrats want a free basic income from the federal govt, 54 % of those aged 18 to 35 agree while only 28% of Republicans agree. Authorities were called to the killer's home 39 times before he carried out the mass shooting at Marjory Stoneman Douglas High School. Maine, Arizona, Utah, Wisconsin, and Kansas want to put lifetime caps on how long people can receive medicaid benefits. Medicaid recipients in Kentucky will now have to show proof of employment in order to receive benefits. Speakers made clear that liberty, self-government, and the "America First" agenda were in the crosshairs.